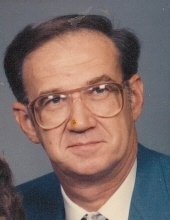 Donald L. Downey, 72, of Davenport passed away Oct. 19, 2016 at Clarissa C. Cook Hospice House in Bettendorf. Per his wishes he will be cremated and a memorial will be held at a later date. Quad Cities Cremation Center in Silvis is assisting the family with arrangements. Donald was born Aug. 23, 1944 in Excello, MO the son of Earl and Ada Wells Downey. He married Elizabeth A. Kraklio February 14, 1991. She passed away April 10, 2014. Survivors include his daughters Donn (Jeff) Angstrom and Jennifer (Melanie) Downey; grandchildren Preston, Adreanne and Hali; great grandchildren Hayden and Daylin; sister Marie Pett. Donald was preceded in death by his parents and his wife. To plant a tree in memory of Donald L Downey, please visit our Tribute Store. "Email Address" would like to share the life celebration of Donald L Downey. Click on the "link" to go to share a favorite memory or leave a condolence message for the family.